At the age of 48, and as it’s his birthday, this much I know about why my dad still matters! The Guardian Family page always does it. The article today about the man who struggled to have the meaningful final conversation with his dying father set me off weeping uncontrollably. I ought to know better than to start reading – it spoils my Saturdays! My dad died when I was twenty, during my second term at university. He was just 57. We thought he had gall stones but he was full of cancer. He’s been dead nearly 28 years yet I still have moments like I had this morning when the grief is as raw as ever. He left school when he was just 14 and began work as a Messenger Boy. He was a Postman for 43 years and hated every minute of it! He could read but could hardly write. His talents lay in golfing and gardening. My dad was an Artisan Golfer – an organisation which provides working class people the opportunity to play golf. We have separate clubhouses and restricted times to play at weekends. When I was good enough to play for Sussex I had to join another club because Artisans did not qualify to play for County level teams. He tended roses with pure artistry. He died three years from retirement and the chance to lie in his own bed of roses forever. I have become the depository for all his possessions. Mother sends me odd artefacts she finds, like his National Service discharge documents – he spent two years in the Navy. His glasses were a shock when I opened their case; they are half-rimmed ones and the way he used to look over the top of them and grin seemed encased with them. His alarm clock is one of my most important possessions. He hated getting up at 4.00 am every day and it was his Baby Ben which woke him. It sits on my desk at home. It reminds me of him and the consequences of having no choice about how you live your life when you have no qualifications. 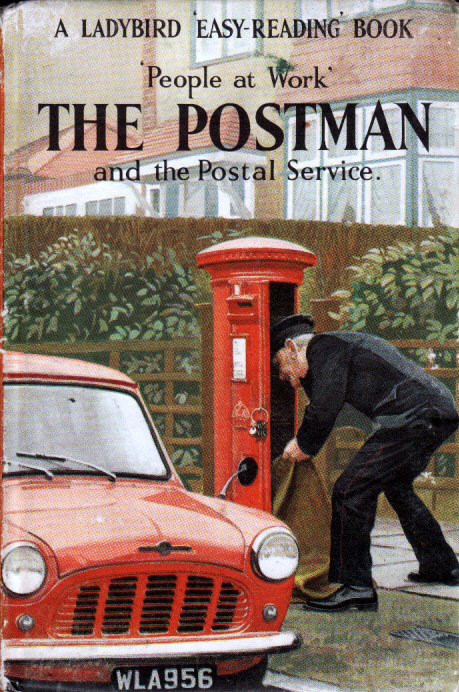 Recently I have been collecting old Ladybird Books; they are what engaged me in reading when I was young and you can find them on Ebay for very little. When I re-read Scott of the Antarctic it was unnerving as the pictures and words set off memory depth-charges. I bought the Postman edition in the People at Work series. I still haven’t written poems about my dad that get to the heart of what I felt for him. I wrote one early on, when I was completing my PGCE at Sussex, which won the Robin Lee Memorial Poetry Prize but most of what I have written is ham-fisted and either bitter or mawkish. We had no religion. In a completely uninformed way we assumed he would go straight to heaven, whatever that meant. A Methodist preacher popped in to help, having heard the sad news, and when mother explained our simplistic thinking about dad’s destiny the preacher was unequivocal in his judgement that dad would not go to heaven as he hadn’t taken Christ into his heart. Mother was devastated; four of the last six weeks dad was alive she spent in hospital, having had to be sectioned. From the age of 20 until the age of 32, when we had my son Joe, the worst thing had already happened to me. I think that helped form who I am. As Hamlet said, there is nothing either good or bad but thinking makes it so. When he died we were studying Chaucer and Pippa Tristram was my Medieval tutor at York. The end of Chaucer’s Troilus and Criseyde really helped. As Troilus is killed and his spirit floats away, Doun from thennes faste he gan avyse/ This litel spot of erthe… And in him-self he lough right at the wo/Of hem that wepten for his deeth so faste. Chaucer was so wise about it all. When he was getting proper poorly it was difficult; one time he dropped his fruit salad on the floor and proceeded to eat it off the carpet. I went back to university in the January and he died in the February. I don’t know why I did that now. I’ve done some pretty stupid things in my 48 years but that is one of the very few I truly regret. We shook hands three times: once when I won a play-off for the Sussex Under 18 Golf Championship; once when I got my A level results; and once when they dropped me off at university and mother was too tearful to do anything! Mark Twain was right when he said, When I was a boy of 14, my father was so ignorant I could hardly stand to have the old man around. But when I got to be 21, I was astonished at how much the old man had learned in seven years. Sons are boomerangs – they leave you in their teens and come back to you in their twenties. I’m afraid I was at the point on my boomerang parabola furthest from my dad when he died. I taught Death of a Salesman to my A level group last year and the bloody play took me by surprise! We were looking at the final scene when Willy and Biff wrestle and Biff kisses his dad. I was suddenly in the middle of a Saturday Guardian Family moment and had to leave the room as tears fell down my face. I took my dad’s alarm clock into class next lesson and explained to them what happened. I still have a soft spot for Postmen!? I was giving a tour of the school to a family last Thursday and the dad turned up in his Postman uniform – he’d taken an hour off from his round. We immediately struck up a rapport. 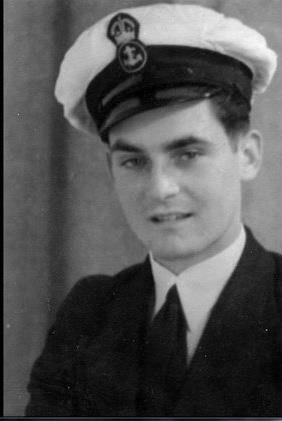 At the end of the tour he admitted he’d come to see what I was like and he reckoned I was OK.
Dad would have been 85 today. 16 Responses to This much I know about…why my dad still matters! Followed a link from Twitter. This is a beautiful post and I thank you for sharing it. While you were very young when you lost your Dad, I was in my in 40s when I lost both my parents to cancer, first my mom at 67 and then my dad a couple years later. Even though I am 51, I feel quite adrift without them, especially my mom. I am also a teacher and I bet your experience with Miller’s play only made your students appreciate you all the more. Another very poignant post about a father who passed away. Takes courage to do it. I too was 20 when my father died. He was 47. He would have been 87 today. He had been effectively dead to me for about 9 years, as Huntingdon’s gradually exerted its vicelike grip on him and squeezed out his personality and his life. I was married 2 weeks before he died, and like you, I wonder why I did this 250 miles away from where he entered his final days. My last visit to him in a Leonard Cheshire Home was harrowing, as he spent some time proudly telling me about his son who was at university – me. His legacy to me is an abiding passion for Everton FC, shared by my brother and nephews. My big regret is that he never knew my beautiful daughter and her little boy. Neither did my mother, who predeceased him by 5 years, when I was 15. There is a huge hole in the warp and weft of my family tapestry, and I thank you for sharing the experience – it raised some poignant memories for me. What a beautiful blog, thank you. I was 17 when I lost my dad at 57 and every word you’ve written, matches my story. My dad would have been 80 this year and not a day has gone by without thinking of him and my sadness that he never got to meet my beautiful children. Thank you for sharing. I relate to so much of this. I had a moment of ‘fresh-as-if-it-was-yesterday’ grief a couple of weeks ago, when I read Ian McMillan’s poem 04/01/07 – took me by surprise. Treasure your memories. I was really moved by your blog. My father died almost a year ago and although I have felt griefstricken, I was also worried that the memories I am struggling with might fade. I am now hopeful that tears will be rolling down my face many years from now. Thank you. Like the Guardian family page, I ought to know better than to check your blog just before going to bed. It hasn’t exactly ruined my Saturday, but the extra hour I was expecting to enjoy is being eaten away … I know what you mean about moments taking you by surprise. I’m very struck by your determination to share emotions with your English class. In my experience many school leaders feel it’s not okay to be emotional in public, which denies their humanity, and colludes with the idea that you have to be superhuman to be a headteacher. Thank you for sharing. Thanks for this, John. Of course it brought back memories of my own father; I never did get a chance to say goodbye…he died during a heart operation in London. Not a day goes by when I don’t think of him – I discovered after his death how much of a bond we’d formed and how much I dearly loved him. A beautiful blog which had me in tears! Thankyou, you expressed the loss in ways which only someone who has lost a parent can. My dad died out of the blue January 2011, the shock and the grief are still so raw. More than anything I miss the ‘words of wisdom’ when you need to rant about the world. There is something about a ‘daddy’s words of wisdom’ that are like nothing else, they make sense and reassure you. I had only been a deputy at a new school for 9 days when he died. One of my first ‘texts’ upon returning to work was kenusky’s kingdom with yr 6 (a real tough group) I had tears rolling down my face, when the child reminisces about his father and a huge lump in my throat, without asking, a young boy who normally ‘made lessons tough’ said “I’l read this bit miss you drink your tea” not one of them knew why I had been absent, but that kindness created a great relationship with that whole target group. I don’t think you ever get over the loss of a parent, you just have days when you ‘cope’ with the pain a little bit ‘better’. As for what the ‘minister’ said, take no notice. Heaven is all the experiences you loved. I like to think my dad enjoys himsrlf walking the dogs, having a ‘brew and cake’ reading the papers, gardening and enjoyinga rugby match each day. Thinking of you. Many, many thanks John. A simple but very moving piece. My dad is still alive at 70 but due my parents splitting I see him rarely and haven’t spoken to him in months. Going to arrange to see him over 1/2 term. Bless you. Just re-read this John. Beautiful. That bloody preacher! This really hit the spot with me too. My Mum died 10 years ago and I too still have those moments. Most recently I was reduced to years in an assembly to my year group by a Drama performance on grief – it wasn’t an easy assembly to finish but I did and explained my response to my year group. It was you who first taught me to use a bubble to compartmentalise life and keep focussed. I still do even now. Just out of interest I can still sing the theme tune to High Noon….its all your fault. Thanks for sharing your thoughts and feelings about your father. Mine passed 25 years ago but sometimes,like you, I feel the pain like it was yesterday. John, Thank you so much for sharing this. It has really made me stop and think about the times when headteacher things get in the way of taking the time out to see my parents who are both in their 80s. School will be there much longer than they will. I was in my early Twenties – a very young mum – hormonal & oh so ‘grow up’ – not listening to his life wisdom. This year he would’ve been 110!